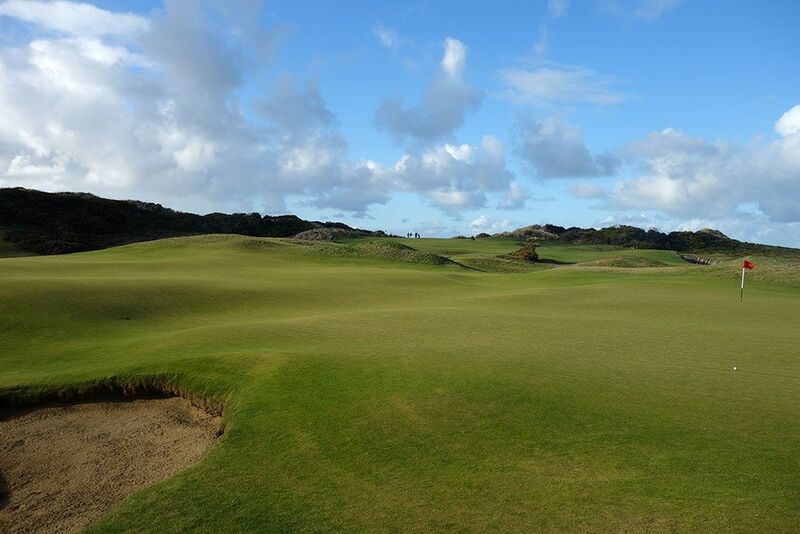 Course Website: Official Website - Visit Old Macdonald's official website by clicking on the link provided. 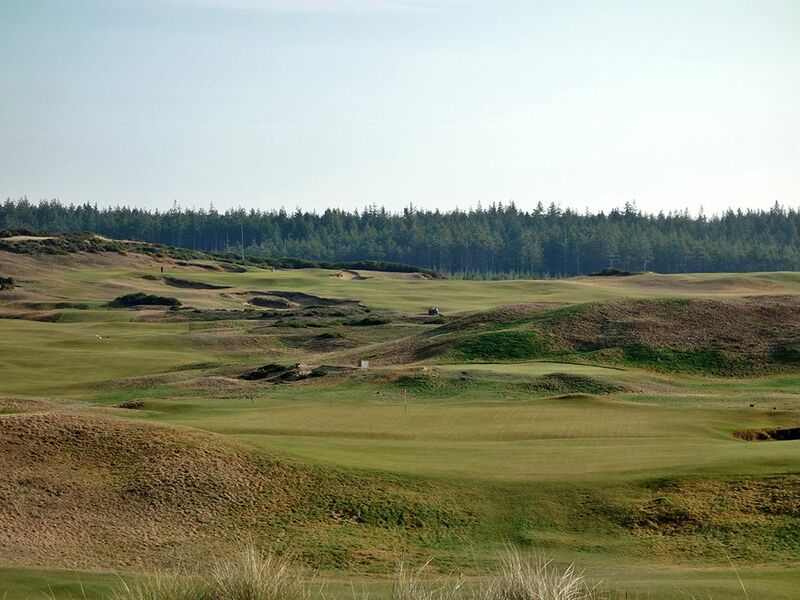 Accolades: Ranked 5th in Oregon on Golf Course Gurus' Best in State list. 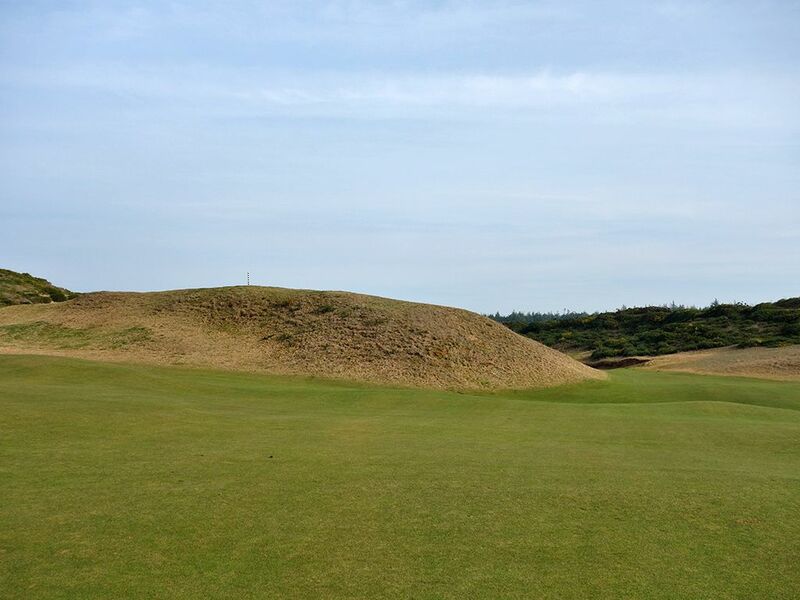 What to Expect: The concept behind Old Macdonald was that Mike Keiser (owner of Bandon Dunes Resort) wanted a course that was a tribute to the late, great course architect Charles Blair “C.B.” Macdonald. 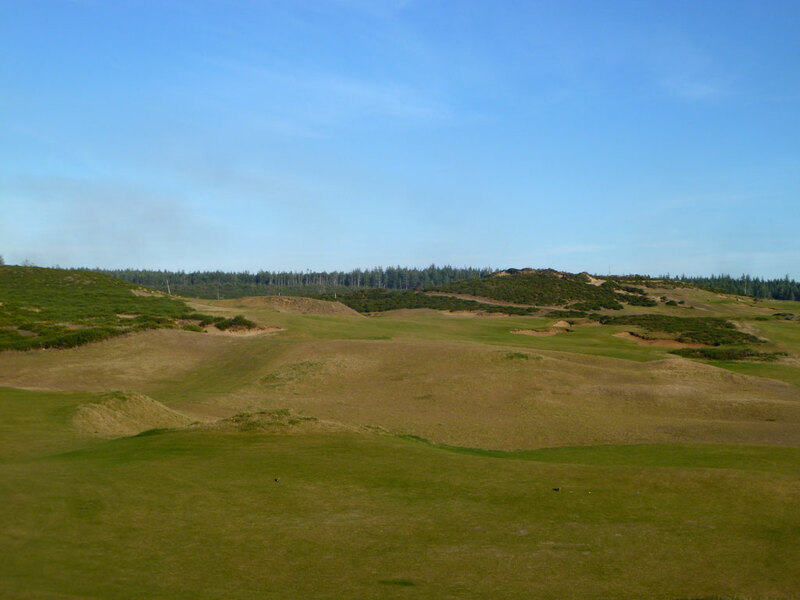 Macdonald took many of the popular hole designs from Europe and implemented them in American golf courses. His most famous design is National Golf Links of America found on Long Island where some of the best template holes in the country are found. 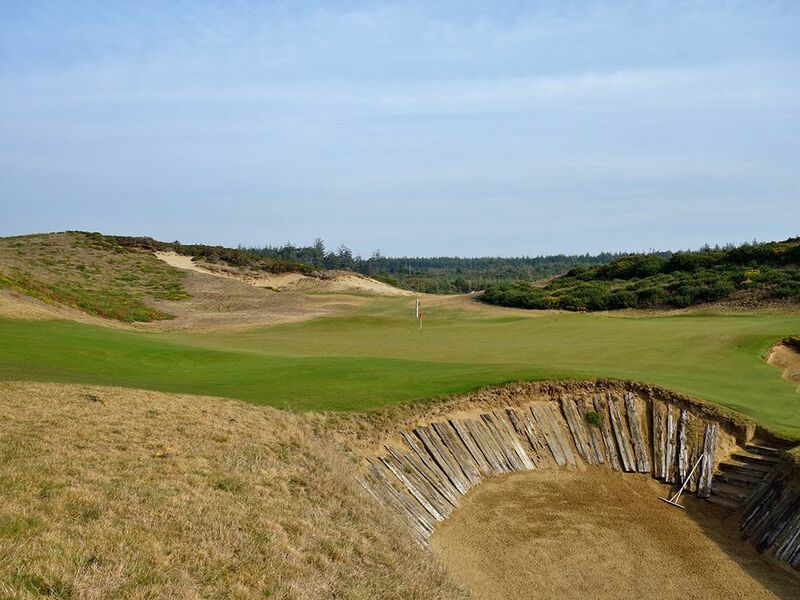 Tom Doak and Jim Urbina were commissioned to design a course that honored Macdonald’s work where renditions of Biarritz, Redan, Eden, Short, Long, Hog’s Back, Alps, and Punchbowl are featured. 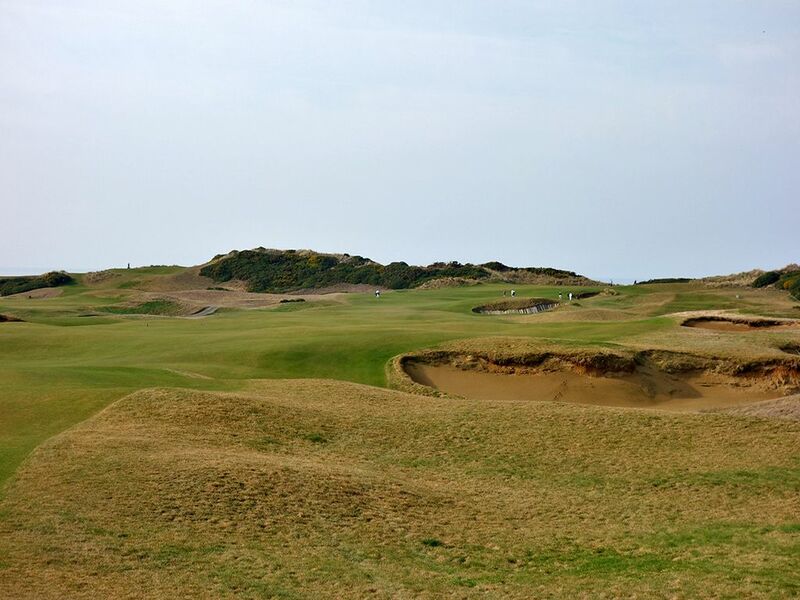 The result is a Doak/Urbina/Macdonald hybrid that features Doak/Urbina blast out bunkers, undulated fairways and greens, and firm/fast conditions morphed with the design concepts that Macdonald made famous in America. The course features stunning aesthetics and feels much more like Doak/Urbina than it does a traditional Macdonald. 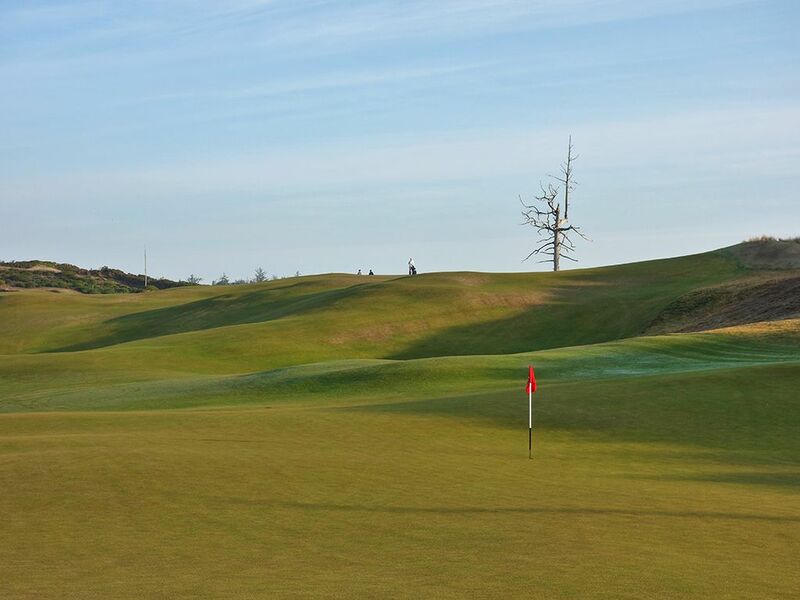 The massive greens and undulations will prove to be a challenge to high handicappers and the grass is cut so short that it’s difficult to tell where the green ends and the fairway starts, especially since the fairways and greens are the same grass type (fine fescue). In fact, the smart play around many of greens is to utilize your putter to roll the ball onto the putting surface due to the super tight lies. 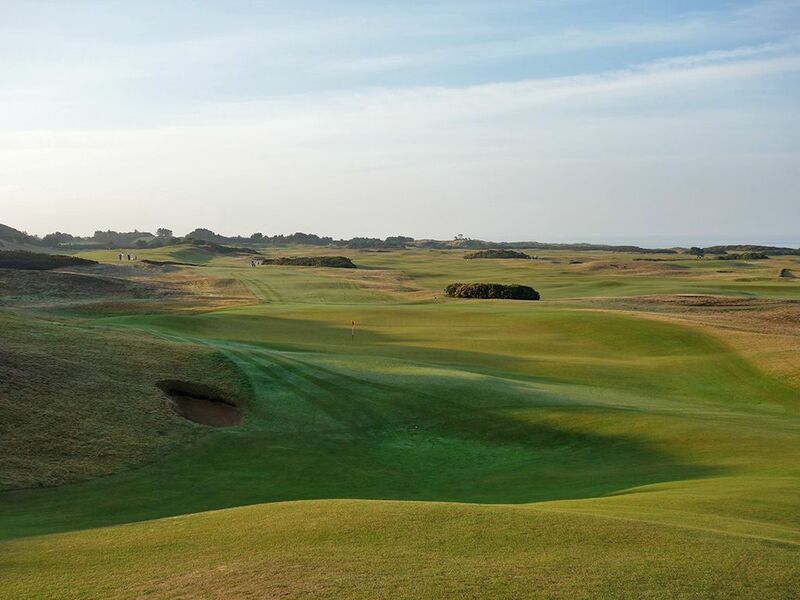 In the end, this is not traditional American golf, it is traditional European links which means wide fairways, intriguing kicks in the fairways and around the greens, and a ton of fun. 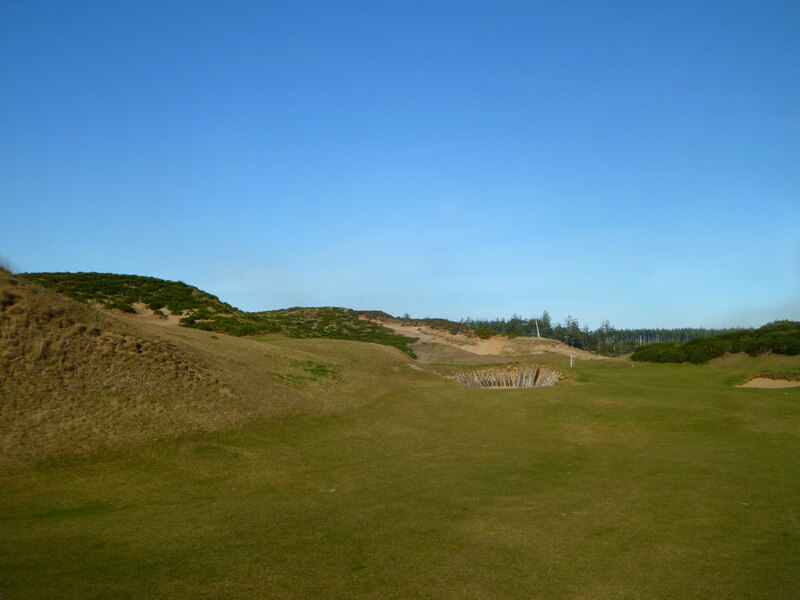 Signature Hole: 7th (Ocean) Hole – 363 Yard Par 4 – Interestingly, the hole that gets signature status at Old Macdonald is an original design rather than one of the C.B. Macdonald template holes that stands as the inspiration behind the design. 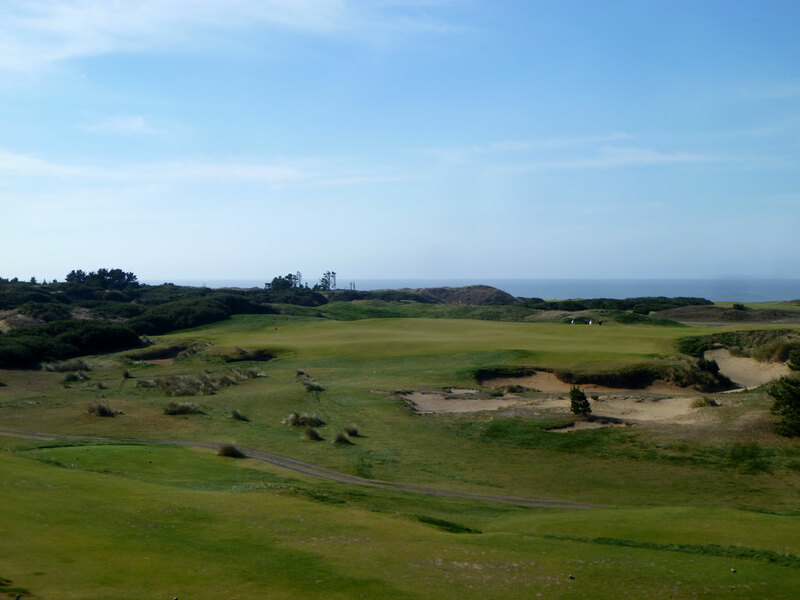 Ocean, as the 7th hole is referred to, gives players a dramatic introduction to the Pacific when approach shots are launched to the elevated green. Once arriving at the putting surface you quickly see where the hole gets its name as panoramic views of the Pacific Ocean consume your eyes. The team of Tom Doak and Jim Urbina did a good job by making the dogleg left short enough to give everyone a chance to reach this green in two and hit a high lofted club that will sit softly enough to hold the putting surface while climbing in elevation from the fairway. 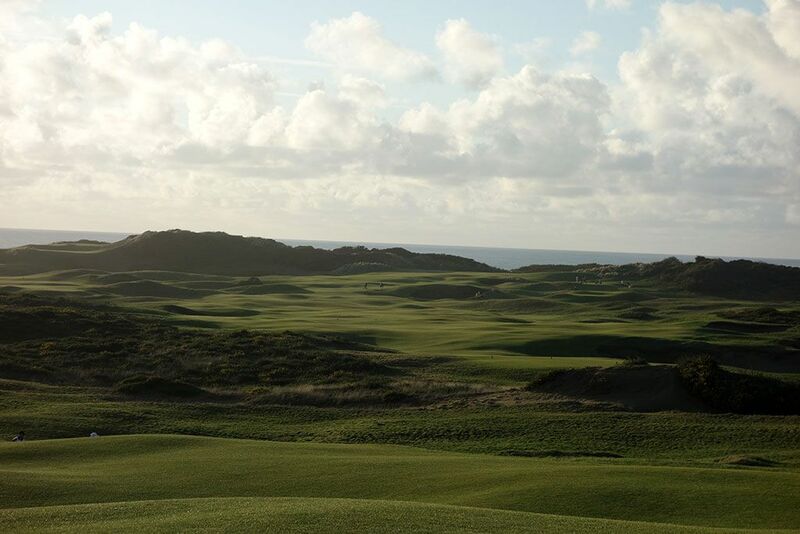 It is a visually stunning hole that also represents the latest introduction to the ocean of all the courses at Bandon. Best Par 3: 8th (Biarritz) Hole – 181 Yards – A modified version of the classic Biarritz design that has become my favorite par three template, this Biarritz plays from an elevated tee which is contrary to what most Biarritz holes employ. This style of par three was originally designed with the idea of players hitting a long club into, or in front of, the green and chase the ball onto the putting surface and back towards the pin placement. 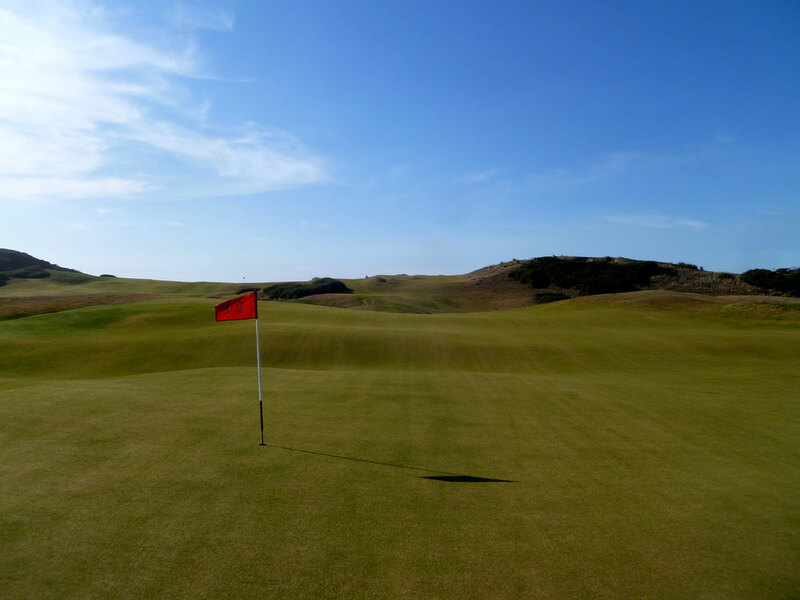 The elevated tee on Old Macdonald eliminates this design element and the undulations in the green force all pin locations to be in the back third of the putting surface beyond the Biarritz swell. Pins exclusively in the back aren’t uncommon on Biarritz holes but are generally reserved for courses that elect to leave the front third at fairway length rather than green height. 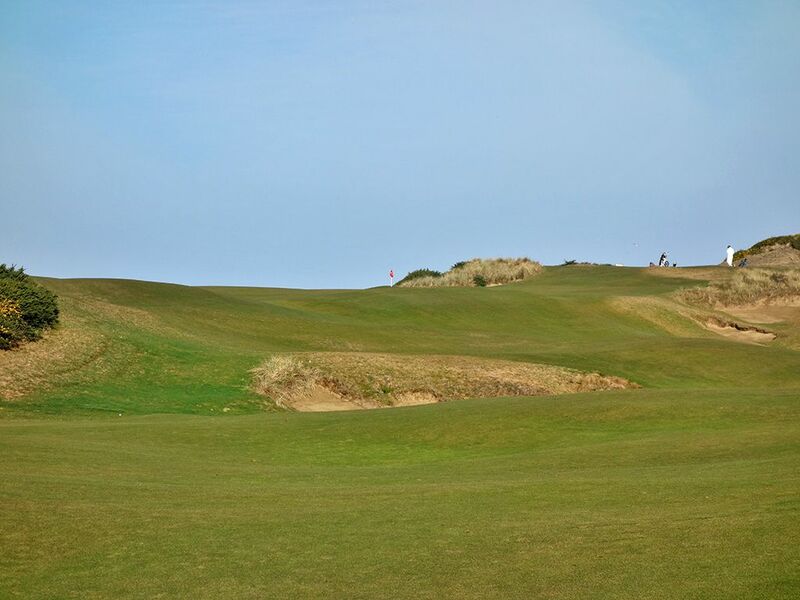 The creative undulations in the green combined with the dramatic tee and setting make for a great par three, it just isn't a pure Biarritz experience. Best Par 4: 3rd (Sahara) Hole – 375 Yards – Sahara has quickly become the most recognizable and story laden hole at Old Macdonald. 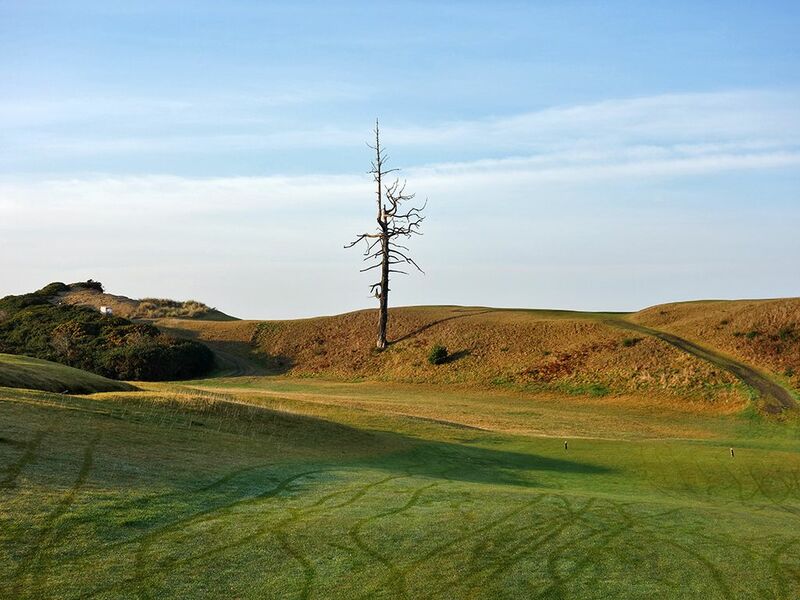 A large, iconic dead tree is located in the middle of a 30 foot tall dune that players must sail over before their ball tumbles down the fairway and to the left towards the green. Tee shots that are hit with a slight draw around the right side of the dead tree have an excellent opportunity of finding the putting surface and carding a score under par. Doak has been known to criticize holes designed with a large tree in mind since Mother Nature has a way of occasionally wiping them out. 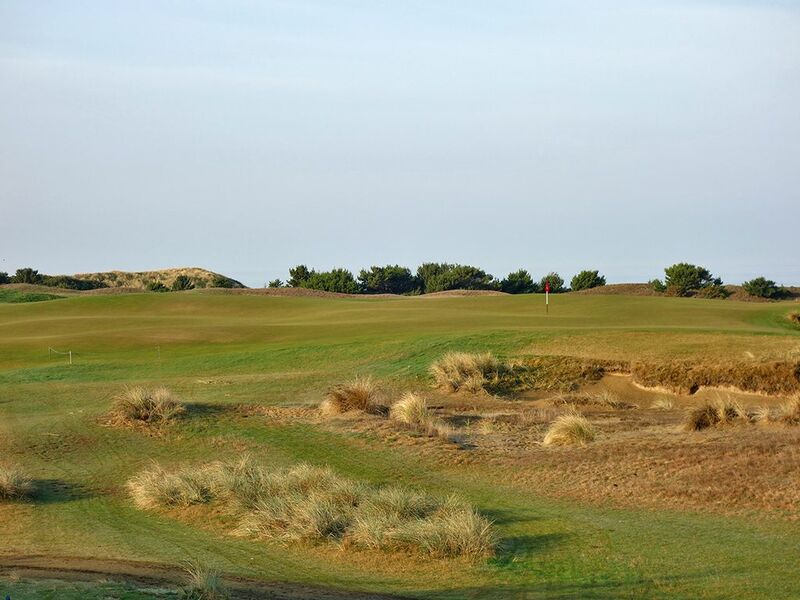 While Sahara stands on its own as a great hole, the absence of the tree would certainly diminish a fair amount of the character found on the hole and cost the course its most recognizable feature. Best Par 5: 15th (Westward Ho!) 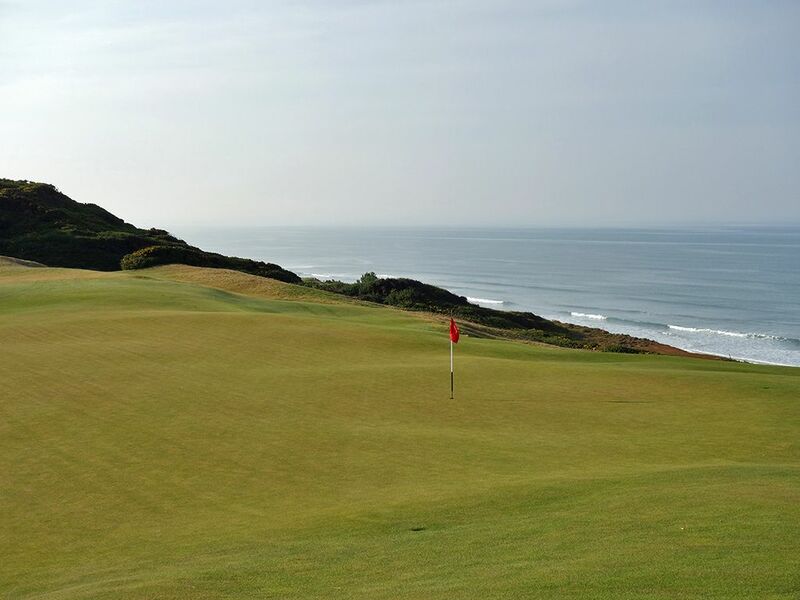 Hole – 535 Yards – As you might guess playing on the west coast, Westward Ho! takes players straight towards the Pacific Ocean by playing from one dune to another. With the 16th hole running parallel to the player's right, there appears to be all the fairway in the world to hit your tee shot to. 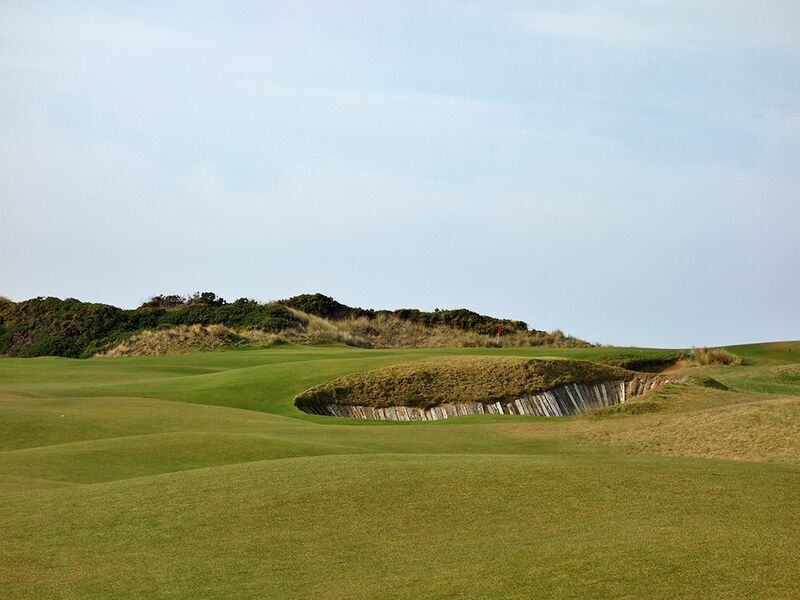 A bunker complex that separates the two holes is often a factor to consider given that this hole generally plays with a cross wind and players need to start their ball at it before letting the wind move it away, or start their tee shot left of it and watch it glide towards the sand. The dune bunker behind the green is both attractive and provides a bit of a wind barrier while putting. Birdie Time: 5th (Short) Hole – 160 Yard Par 3 – The hole that has yielded the most aces at Old Macdonald is also awarded the Birdie Time recognition. The aptly named hole, Short, plays downhill to a huge green with contours that often work the ball back towards the pin. It is easily the least challenging approach shot of the day and should give players a needed boost on their scorecard considering the hole is wedged between two challenging offerings. Bogey Beware: 16th (Alps) Hole – 455 Yard Par 4 – The Alps hole is a favorite among visitors to Old Macdonald and with good reason. 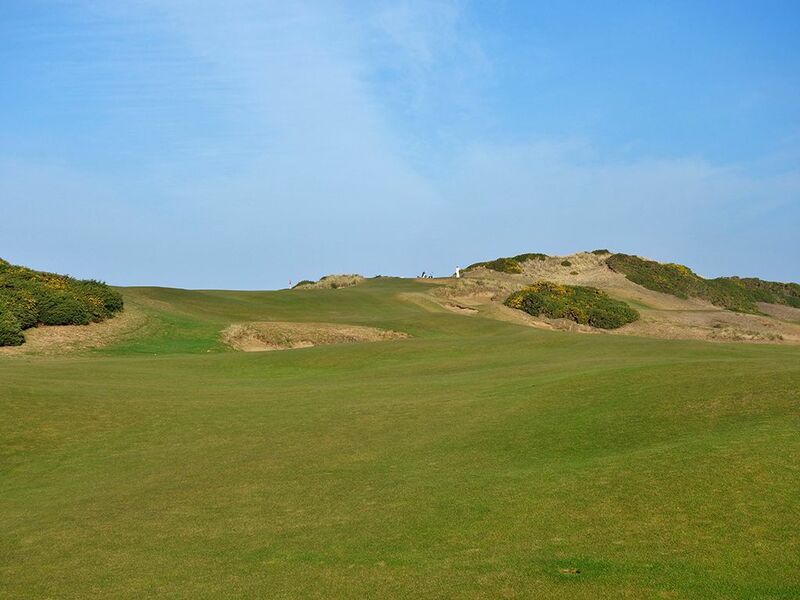 The hole plays downhill and directly away from the ocean where a large mound blocks the view of the green from the tee. A tee shot up the generous left side will leave a blind approach into the green while a drive up the right side is leave a slightly longer approach but one that gives players a visual confirmation of the green and pin location. The approach shot over the Alps looks more intimidating than it plays with the slope of the terrain near the green on that line should help carom balls onto the green. The excitement and anticipation of hitting a blind shot over the Alps is enjoyable for many while those that have a distain for such approaches have the option of playing to the right. Options, setting, and quality design; the elements that add up to create excellent holes like the 16th at Old Mac.